Tags enable you to mark, sort, and easily search for related files. For example, you can filter and search for files based on shared tags. To use tags in business or enterprise accounts, your administrator must grant sufficient permissions to tag items. 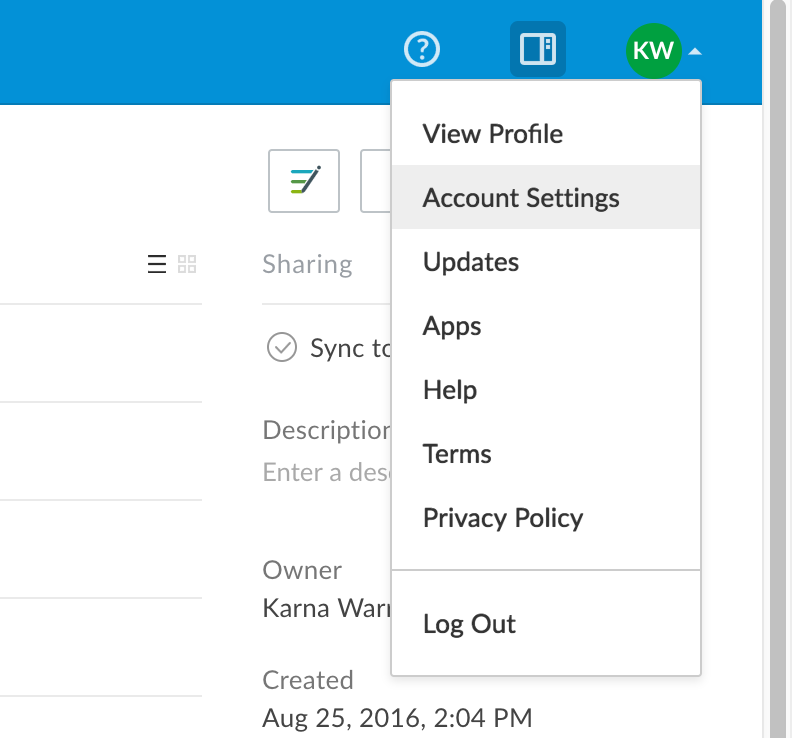 To access tag settings, open the Admin Console, click Enterprise Settings, then click Content & Sharing. Even if admins restrict tag creation to other admins and co-admins, you can still see tags and use them to search/filter, although you cannot add new tags to items. You can also enable or disable Tags in your personal account settings. To enable tags in your account, click your profile picture in the upper right (the default image is your initials), then click Account Settings. In the Account tab, check Display Item Tags. Hover over the item you want to tag, then click the ellipses (...) to open the More Options menu. Alternatively, you can right-click the item. From the menu, select More Actions and then click Add or Edit Tags. In the dialog box that display, enter the tags you want to add to this item. You can add multiple tags, separated by a comma. Then click Save. Note: You must have folder permission level of "Editor" or higher to create tags for a folder. There is no character limit for tagging. But generally shorter tags are more useful because they are easier to scan. You can alsouse the tags filter to filter by tags in any search. To do this, click the tags filter and enter the tag(s) you want. Note: You can start typing a tag in the search view, and Box autofills possible tags. However, it does this only for content you own. 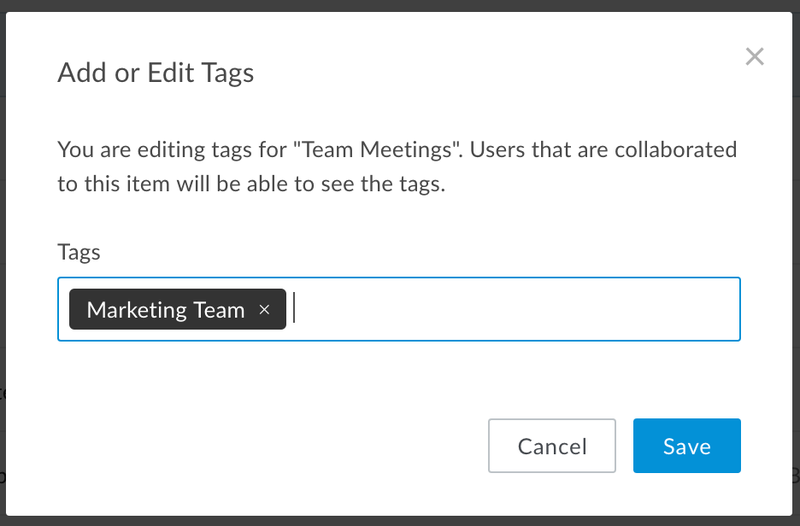 It will not autofill tags that belong to content you do not own or content on which you collaborate.